Adsorption based carbon capture to address the serious concern of global warming has been gaining worldwide attention of researchers due to its inherent advantages vis a vis other technical options like absorption, membrane and cryogenic separations, chemical looping combustion etc. Porous carbons from biomass wastes are under focus currently owing to its abundance, simple synthesis and regeneration and flexibility to achieve the desired pore structure and chemical modification. Carbon capture studies using porous carbons from starch have received little attention when compared to other biomass precursors. Hence in this work, facile synthesis of porous carbons from corn and potato starch has been employed. These were then screened w.r.t physico-chemical properties using different analytical tools like XRD, FTIR and BET surface area. Amine loading was done by wet impregnation method at different levels from 10 to 30% by wt to enhance their CC performance. Process standardization was done to maximize the CC capacity w.r.t critical process parameters like carbonation time, temperature, loading level, biomass precursor etc. A reasonably good CC of 3.4 mmol/g has been achieved at the optimal conditions. Cyclic stability and regenerability studies were also conducted to assess their stability and long term deployment potential. Amine loading was found to have a positive influence in achieving higher CC but at the cost of cyclic stability. From our studies, we could state that Starbons® have a great potential to act as green sorbent in CC and the technology is in nascent stage, there is a huge window for innovation in synthesis, structure and chemical modification. According to recent Inter-Governmental Panel on Climate Change (IPCC) report, the concentration of CO2 in the atmosphere has significantly increased from 280 ppm during pre-industrial period to more than 400 ppm now primarily due to continuing dependence on fossil fuels for power generation and other applications. This led to global warming and the associated undesirable climate changes. Carbon capture (CC) in pre- or post-combustion modes has been found to be a potential tool to address this alarming phenomenon. The various technical options of CC were adsorption, absorption, membrane separation, chemical looping combustion and cryogenic separations . Though absorption using solvents like amines was under focus for some time due its higher efficiency, it suffers from serious drawbacks like expensive process, energy intensive solvent regeneration, toxic emissions, equipment corrosion and solvent degradation and associated losses . Recently, focus has been shifted to adsorption based carbon capture which is simple and environmentally friendly, economical process, higher energy efficiency, availability of variety of sorbents from even industrial and agricultural residues, wide temperature ranges of CC . Various types of sorbents have been employed at different temperature ranges viz., low temperature sorbents (up to 200 °C) based on solid-amines, porous carbons, graphene or graphite, zeolites, MOFs, ILs, silica, polymer, clay etc., intermediate temperature sorbents (200–400 °C) based on LDH, MgO etc. 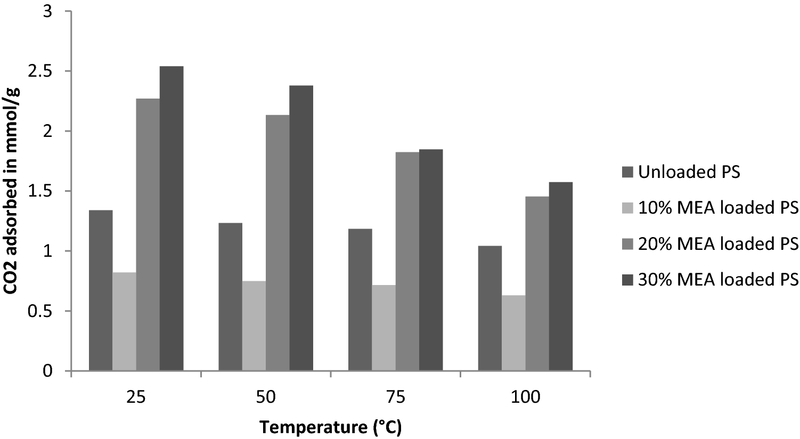 and high temperature sorbents(> 400 °C) based on CaO, alkali zirconates etc . Among these sorbents, carbon based sorbents are gaining researchers’ attention owing to their low cost of synthesis, light weight, large surface area and pore volume, moisture resistant, simple regeneration, low energy consumption, flexibility to pore structure modification and functionalization besides synthesis using cheap raw materials like biomass and industrial wastes. But they are found to be temperature sensitive and exhibit poor selectivity and capture capacity. These issues were found to be successfully addressed by proper control of pore structure during synthesis and by using amine functionalization through loading or grafting methods . In recent past, among various sorbents mentioned above, porous carbons have been widely employed due to their low cost, high availability, thermal and mechanical stability, hydrophobicity, large surface area, easy to design pore structure and chemical resistance to acidic and basic conditions. For large scale applications, biomass sources have been identified as cost effective raw materials to synthesize these porous carbons even with functionalization . Bio-wastes are available in abundance, cheap and naturally occurring with rich lingo-cellulosic compounds which could be converted to porous carbons by carbonization followed by activation through physical or chemical routes . Studies have been reported on the use of activated carbons in CC applications generated through various biomass sources viz., ligno-cellulosic waste from palm agri-residue , coconut shell , Argan fruit shells , corn stover  etc. In our present work, CC studies were conducted using porous carbons derived from starch of corn and potato with and without amine loading by wet impregnation method. These porous carbons, which were named as ‘Starbons’ as in starch based pororous carbons, were first synthesized by Budarin et al. in league with York University in an attempt to produce new porous, solid adsorbents. The primary reason for the selection of the above mentioned Starbons® in primarily due to the novelty of their usage in CC studies. At present, there are no published articles on the potential of these adsorbents in carbon dioxide capture. The ease of synthesis is also another factor that motivated to the selection of Starbons®. As shall be explained later, the synthesis of these materials is relatively economic and fairly easy. Along with these factors, the potential of tunable surface area, pore volume and its capacity as a support was also of an industrial and academic interest. Another most important reason as to why Starbons® were chosen was that they are clean to produce. The facile synthesis protocol, characterization studies to understand the physico-chemical attributes of the carbons, process standardization to maximize the CC capacity w.r.t key parameters like temperature, carbonation time, amine loading level and cyclic stability studies were conducted and the results obtained were compared with those reported. The materials used for the synthesis of Starbons® were water, starch powder (Corn starch and Potato starch), ethanol and a small amount of an organic acid (p-toluenesulphonic acid). Mono-ethanolamine was used for loading/loading purposes. Lab scale synthesis of Starbons® as shown in Fig. 1 below involved three major steps viz., retro gradation, drying and carbonization and the protocol followed was similar to that reported by Shuttleworth et al. . The respective starch powder was initially gelatinized by mixing it with water in a ratio of 1 g of starch to 20 mL of water. This is then heated to 70–80 °C at a constant rate for 2 h with continuous stirring followed by refrigeration for nearly 2 days to form a solid gel. It was observed that while potato starch has taken 1 day to form a gel, corn starch has taken nearly 2 days at almost similar temperatures of heating. Post-retrogradation, the gel block was then exchanged with ethanol of volume equal to that of water used in former step, stirred well and filtered to remove the excess solvent. The residue was then vacuum dried at 60 °C for a day and then loaded with small amount of p-toluene sulphonic acid before pyrolysis. The pyrolysis was conducted within a range of temperatures 200 °C to 800 °C and under vacuum . 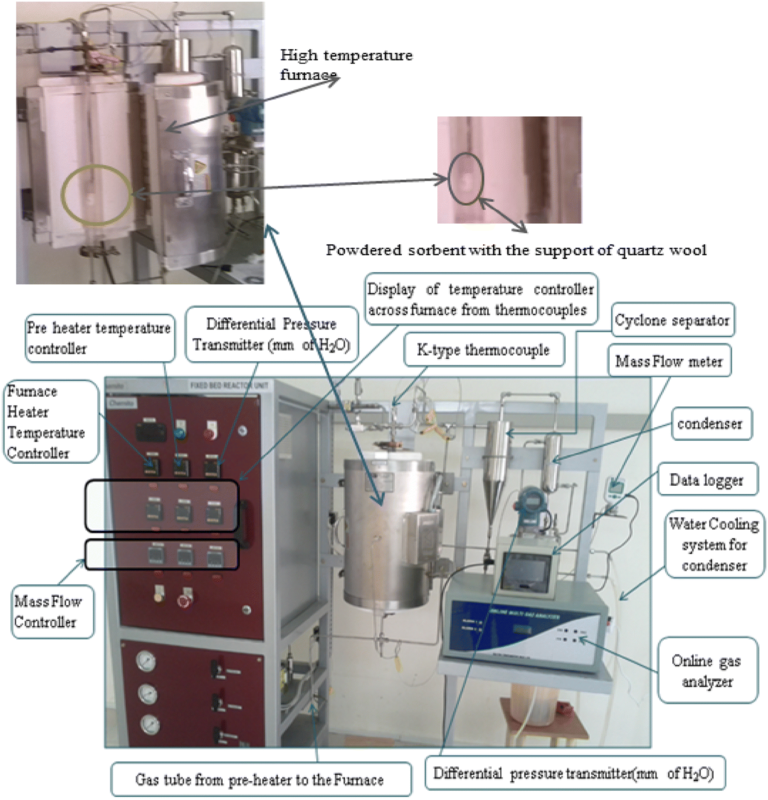 Carbonization, the final stage, was carried out in two steps viz., heating the oven dried gel to 170 °C in vacuum for about half a day followed again by pyrolysis at various temperatures between 200 and 800 °C for 3–4 h in an inert environment of N2. The Starbons® thus synthesized were given nomenclature based on the biomass source and carbonization temperature like PS-250 implies starbon from potato starch carbonized at 250 °C. These Starbons® were then impregnated with MEA (Mono-Ethanolamine) at various loading levels of 10%, 20% and 30% (wt) by wet impregnation method. Wet impregnation involved the addition of the porous to the required predetermined weight percent of amine in a water/ethanol solution, after which the mixture is heated to 105 °C to remove the water/ethanol content . The analytical tools employed to understand the physico-chemical changes in these studies were D5000 SIEMENS X-ray diffractometer using Ni-filtered CuKα radiation (λ = 1.506 Å) for assessing crystalline nature, SEM Carl Zeiss AG-EVO, 40 Series at an accumulation voltage of 10 kV and system resolution of 98 eV for morphological studies and BET Surface analyzer from Smart instruments for surface area and pore volume measurements. FTIR studies were done using spectrophotometer of Thermo Fisher Scientific make. 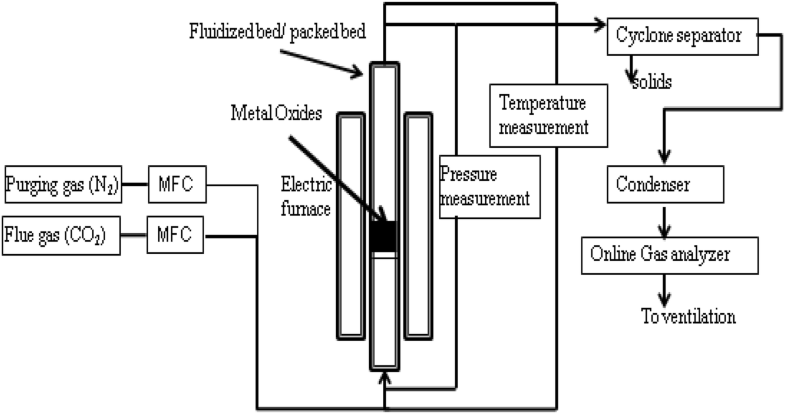 The experimental set-up employed for our studies consists of a fixed bed reactor with necessary temperature controls and an integrated pre-heater. The reactor was made of quartz that could withstand temperatures up to 1200 °C. Figures 2 and 3 below show the line diagram and photograph of the experimental set-up respectively. The pre-heater could be used to achieve high temperature of gas mixture before entering into furnace (nearly 250 °C). The length and diameter of the quartz tube were 55 cm and 2.54 cm respectively. Gas leakage was prevented using an inert graphite gasket ring installed in the reactor. Thermocouples were installed at various locations of the reactor to record the temperatures as a function of time and position during the CC studies. Co and Ca are feed and outlet concentrations (cm3 of CO2/l) at time tq (minutes) respectively. In this case we have taken the Tq as 60 min for further analysis of sorbent. Starbons® were initially prepared at four temperatures of 250 °C, 350 °C, 450 °C, 550 °C and as their BET surface areas were not found to be satisfactory, higher carbonization temperatures (750 °C) for longer durations (6 h) were employed and this could bring significant increase in surface area and pore volumes by successful removal of volatile components. Both starches i.e. potato and corn almost gave identical values. Owing to relatively simpler synthesis protocol, potato starch has been used for all further studies on CC. BET surface area measurement was used to screen the synthesis protocols of Starbons® from both the types of starch. Table 1 below gives the summary of these results which clearly showed that increase in carbonization temperature along with the duration of pyrolysis resulted in significant increase in the surface area and pore volume due to effective removal of volatile components present in the Starbons®. 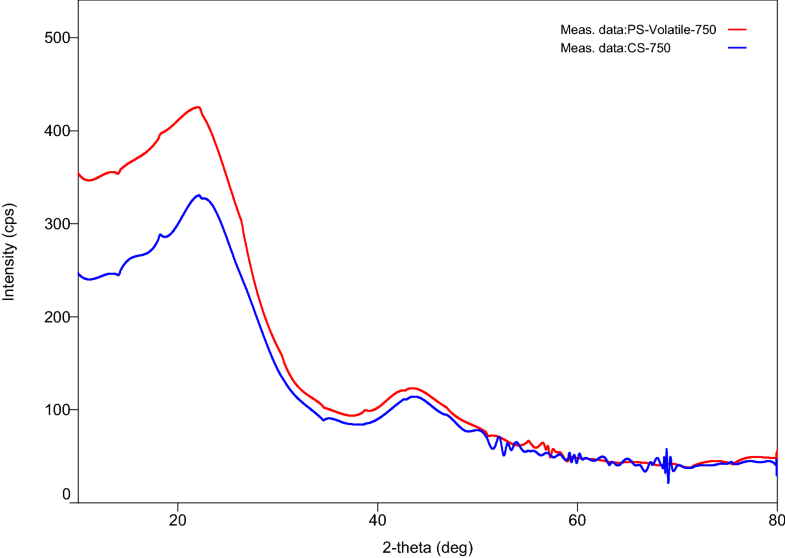 From the FTIR results shown in Fig. 4, it was evident that CS 750 and PS-750 Starbons® were almost identical and matched with that of commercially available activated carbon (AC) [16, 17]. To confirm the presence of amines in the loaded Starbons®, FTIR studies were conducted for three different samples of 10%, 20% and 30% MEA loaded Starbons®. FTIR results shown in Figs. 5, 6 and 7 below confirmed the presence of amines (NH2) from the peaks in the regions of 3400–3500/cm and 1650–1550/cm. XRD analysis was done on the two types of Starbons® and the results shown in Fig. 8 below clearly indicates that they are identical and amorphous in nature. The plots also were similar to that of a commercial activated carbon [18, 19, 20]. Starbons® were impregnated with MEA for the study of its effect on CC, with the loading percentages fixed at 10%, 20% and 30% initially. 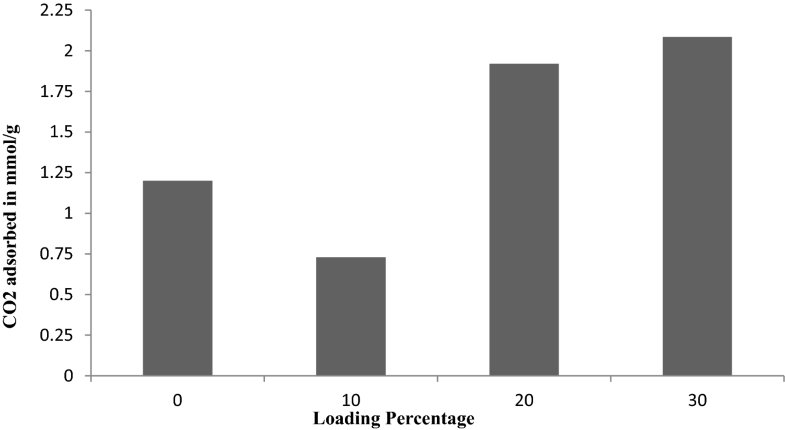 However, the final loading percentages were found (using gravimetric method) out to be 6.3% (for a 10% initial loading), 18.7% (for a 20% initial loading) and 27.4% (for a 30% initial loading). The effect of loading on CC was shown in Fig. 9 below. The highest CC value was exhibited by 30% loaded Starbon® (2.085 mmol/g). From the results it was interesting to note that there was a critical or threshold loading amount beyond which only there was a positive influence of it on CC. The CC given 10% loaded starbon® was found to be less than that of unloaded one. The reason for this might be that the amount of MEA available with respect to the blocked sites, decreased considerably in 10% MEA loaded starbon® while MEA amount present in 20% and 30% MEA loaded Starbons® contributed to high CC values of the mentioned Starbons®. Cogswell et al. has reported similar decreasing trends in CC value with increase in initial loading percentages in their study of CO2 capture using titanium pillared pure MCM-36 using the amine TEPA and imine PEI. For both, a decrease in CC values was observed. The TEPA loaded support in particular showed a decline in CC values (1.3 mmol/g at 5% wt loading to 0.2 mmol/g at 20% wt loading and from thence to 0.5 mmol/g at 30% wt loading and finally at 1.75 mmol/g at 48% wt loading) and the cause was attributed to a combination of low surface area (post the loading of amine) and the low content of amine itself. Returning to the present study, there was a significant increase in CC from 10% to 20% beyond which it was only marginal. Regarding the positive influence of loading on CC, Liu et al. also observed in their studies, in which the adsorbents were porous phenolic resins loaded with polyethylene-amine giving CC values of 0.9 mmol/g, 1.75 mmol/g, 2.25 mmol/g, 3.85 mmol/g for loading percentages 10%, 20%, 30%, 40% respectively. Son et al. also found in their study of PEI loaded mesoporous silica KIT-6 for loading percentages of 10% (0.341 mmol/g), 30% (1.455 mmol/g), and 50% (3.068 mmol/g). Li et al’s  conducted CC studies using KOH-activated Biochar, and found that CO2 uptake increased with the weight of KOH present in the biochar 2 g, 2.5 g and 3.0 g of KOH per 0.5 g B-PC for which the capture values were 23 mmol/g, 25 mmol/g and 26 mmol/g respectively. Gholidust et al. further confirms that this was also the case with other amines like DEA (0.4 mmol/g, 0.475 mmol/g, 0.525 mmol/g, 0.9 mmol/g for a set of loading values 0.22, 0.52, 0.62 and 1.15 mmol of DEA/g of adsorbent at 50 °C) and TEPA (0.15 mmol/g, 0.22 mmol/g, 0.5 mmol/g for a set of loading values 0.52, 0.89 and 1.03 mmol of TEPA/g of adsorbent at 50 °C) in which both the mentioned amines showed an increase in CC values with the increase in loading amount of amines. To understand the influence of temperature on capture capacity using the PS Starbons® unloaded and loaded with MEA at various levels, CC studies were conducted at four temperatures of 25 °C, 50 °C, 75 °C and 100 °C. From the results were shown in Fig. 10, it was clearly evident with increase in loading levels besides increase in overall capture capacity, there was a pronounced decrease in CC with increase in temperature. This effect of temperature on CC was marginal at low loading. Fiuza-Jr et al. also reported similar trend in their KOH modified AC derived from yellow mombins, in which the CO2 capture was carried out at temperature from 0 to 75 °C (3.2 mmol/g, 1.6 mmol/g and 0.8 mmol/g over temperature ranges (0–25), (25–50) and (50–75) °C respectively). As mentioned before, 20 wt% and 30 wt% MEA loaded Starbons® demonstrated relatively higher values of CC viz., 2.274 mmol/g and 2.54 mmol/g at 50 °C which clearly showed the positive effect of amine loading on capture capacity. Gholidoust et al. reported similar trends with AC loaded with different amines such as DEA (0.85 mmol/g, 0.95 mmol/g at 25 °C & 50 °C for a loading of 1.15 mmol of DEA/g of AC), MDEA (0.16 mmol/g, 0.21 mmol/g at 25 °C & 50 °C for a loading of 0.15 mmol of MDEA/g of AC) and TEPA (0.4 mmol/g, 0.45 mmol/g at 25 °C & 50 °C for a loading of 1.77 mmol of TEPA/g of AC). The increase in CC values with 20% and 30% loaded Starbons® from 25 °C to 50 °C was due to higher reactivity of MEA towards CO2 at 50 °C than at 25 °C. The decrease in CC values for both PS-750 and 10% loaded was due to the physical nature of adsorption. The cyclic studies of all Starbons® were carried out up to three cycles in which the regeneration or desorption temperature was fixed at 125 °C for the loaded Starbons® and 350 °C for the unloaded. Table 2 shows the results of these studies which clearly show that starbon PS-750 was relatively more stable than others. Carbon capture values were found to decrease with each subsequent cycle for most of the Starbons® though the extent of deterioration was different for each. The unloaded and 10% loaded Starbons® were found to exhibit better cyclic stability vis-à-vis others like 20% and 30% loaded Starbons®. The significant decrease in CC of loaded Starbons® (20% and 30%) could be attributed to the inherent volatility of MEA and hence its loss during every regeneration cycle besides its degradation which increased with loading level. PS-750 Starbons® showed a gradual decay in CC probably due pore volume blockage after repeated cycles. Li et al’s  work on the cyclic studies of CC using TEPA modified IM15 also gave similar trends viz., 2.5 mmol/g, 2.35 mmol/g and 2.25 mmol/g after first, second and third cycle respectively. The reason was found to be Amine leaching which was also explained in Ma et al’s  cyclic adsorption–desorption of 50-TEPA/C8-Titanium oxide under 10% CO2/N2 at 75 °C, where the CC values after each of the first three cycles were 1.75 mmol/g, 1.63 mmol/g and 1.56 mmol/g. In Nguyen and Lee’s  comparative study on CO2 adsorption of AMBC and AC beads, the latter was also reported to show only gradual reduction in adsorption values after subsequent cycles (8.84 mmol/g, 8.398 mmol/g and 7.956 mmol/g). One more study on CC using C8-Ti-30 revealed a higher cyclic degradation i.e. 2.3 mmol/g, 1.61 mmol/g and 1.6 mmol/g at the end of the first three cycles. The Table 2 given below shows the cyclic performance of all Starbons® (loaded and unloaded) at four different temperatures from which it is evident that cyclic stability decreased with increase in extent of loading and there exists an optimum temperature (50 °C for most) at which CC was highest. Table 3 compares the percentage recovery of different Starbons® vis-a-vis reported sorbents which showed that Starbons®’ recovery was relatively less. Both carbonation and decarbonation (adsorption and desorption) processes were carried out for 60 min in total. The inference that could be drawn from Fig. 11 graph was that almost 100% saturation was achieved in very short time with PS-750 and 10% MEA loaded Starbons® even in less time than 10 min while 20% and 30% loaded Starbons® took 20 min probably due to higher amine content and slower pore blockage with increased loading. Hence, the adsorption was found to be highly spontaneous, although only kinetic studies could reveal its intrinsic nature. Goel et al’s  experiments using four different porous carbons (C-500, C-600, C-700 and C-800) enriched with nitrogen with a feed ratio of 1:9 (CO2: N2) at 30 °C, aligned with our breakthrough curves of Starbons®. Tiwari et al. also studied on Melamine–formaldehyde derived porous carbons in CC at a temperature of 30 °C and for four different carbons (MFZ-500, MFZ-600, MFZ-700 and MFZ-800) on the breakthrough aspects of adsorption. The Table 4 below gives the breakthrough times of the referenced porous carbons vis-à-vis our Starbons®. Yu et al. made a detailed review regarding the CC values of various solid porous adsorbents and amine impregnated sorbents the extracts of which were displayed in Tables 5 (unloaded) and 6 (amine loaded) below. From the results of the unloaded sorbents, it was clearly evident that though absolute CC values given by the Starbons® were relatively low, they were high if CC per unit surface area was considered. In the other class of loaded sorbents, 30% MEA loaded Starbons® gave higher CC than almost all other sorbents, which was even higher is CC per unit surface area was considered. Finally the ratio of porous surface area to pore volume is also an important factor to consider. Table 7 gives a comparison of the same. It can be observed that relative to its surface area, the PS Starbon® has a high pore volume. This makes it potentially one of the best candidates for molecular capture studies. The study conducted in Lashaki et al. explains the relation between pore volume and CO2 uptake. Loganathan et al. , in its CC experiments on MCM-41, also reported findings in agreement with Lashaki et al. . In both the above studies, the trend was such that adsorbents with higher pore volumes exhibited higher CC values. 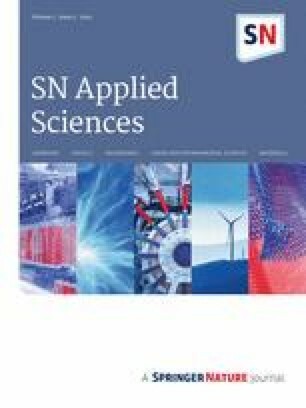 In this work, Starbons® have been synthesized successfully from potato and corn starch using a standard protocol and both were found to exhibit similar physico-chemical properties. Potato starch based Starbons® have been employed for all further studies due to shorter synthesis durations. It was found that amine loading by wet impregnation method could increase the surface area and hence CC. The effects of temperature, loading level and carbonation time on CC were studied and it was found that highest CC of nearly 3.4 mmol/g ads was shown at 50oC and 30% loading with MEA. As far as cyclic stability was concerned, the loading percent was found to have a negative effect on CC achieved in subsequent cycles up to three cycles. Starbons® were also compared with other loaded and unloaded sorbents reported in literature and it was found that Starbons® gave reasonably good CC if it was considered per unit area. Amine loaded Starbons® outperformed other loaded sorbents in absolute CC and even much better if unit surface area was considered. The pore volumes, another important factor determining the CC value is also relatively high for Starbons® in comparison to other similar activated carbons. Hence this reveals that Starbons® have great potential as green, economical and effective sorbents in CC. Future studies should focus on more innovative synthesis protocols and novel dopants and protocols to increase surface area and hence CC and cyclic stability. I, on behalf of the authors wish to declare that there are no conflicts of interest of any type in this work.